This Labor Day weekend, the Building Industry Association of Central Ohio 2017 Parade of Homes in Cheshire Woods of Berkshire Township opens to the public. It’s Delaware County’s third straight year hosting the parade. The homes are located near Alum Creek close to water sports and other outdoor leisure activities making the homes desirable for the targeted demographic. 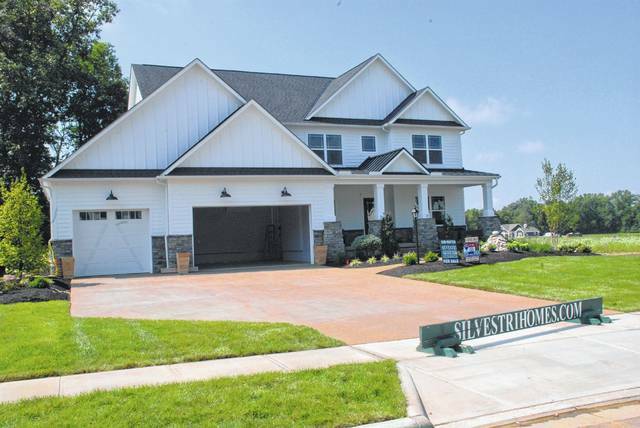 The parade features homes built by Central Ohio builders priced in the $600,000 range. According to a study by the National Association of Home Builders, 75 percent of baby boomers, age 51 to 70, prefer single-story homes. Buyers want to enjoy the later years of their life by trading the hours spent doing house care task for travel and leisure enjoyment. Manor Homes, this year’s recipient of 2017 BIA Parade Foundation Home, has an open-concept floor plan that incorporates reclaimed wood fixtures adding the warmth of rough cut wood. The posts supporting the upstairs balcony, the ceiling of the master bath and a wall in the front entrance all feature the reclaimed wood. Westport Homes doesn’t bulldoze development properties with standing barns any longer. Westport’s home is a ranch offer extra living space on the lower level, in addition to its three bedrooms and 3.5 baths. The lower level has a large finished bar, media and gaming center giving it a man-cave feel that’s ideal for entertaining. The open-concept floor plan and formal dining room are aimed at the preferences of older home buyers. The Maple Craft home is a customized, contemporary ranch, adapted to meet the needs of people of all abilities. Wider doorways and a zero-entry shower allow for wheelchair accessibility. A covered porch with retractable screen off of the great room offers a view of the beautiful lot and extends the living space to the outdoors. The ranch is a low-maintenance with three bedrooms, two full baths and two half baths ensuring space for visitors. For the third straight year Delaware County will host Building Industry Association of Central Ohio 2017 Parade of Homes in Cheshire Woods of Berkshire Township this Labor Day weekend. The parade is open Sept. 2-17, 11 a.m. to 5 p.m. Monday through Saturday and Sunday 11 a.m. to 7 p.m. This entry was tagged Berkshire, BIA, delaware. Bookmark the permalink.